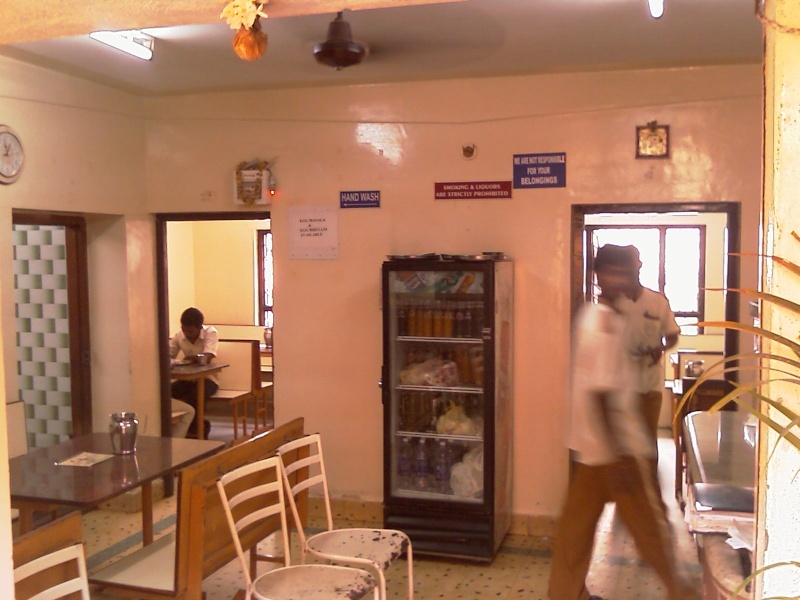 Hotel Sri Akshatha is located in Vijayanagar near the Old MK Ahmed stores. In fact if you look for the entrance like a big board and a regular hotel style presence, you are sure to miss this place. 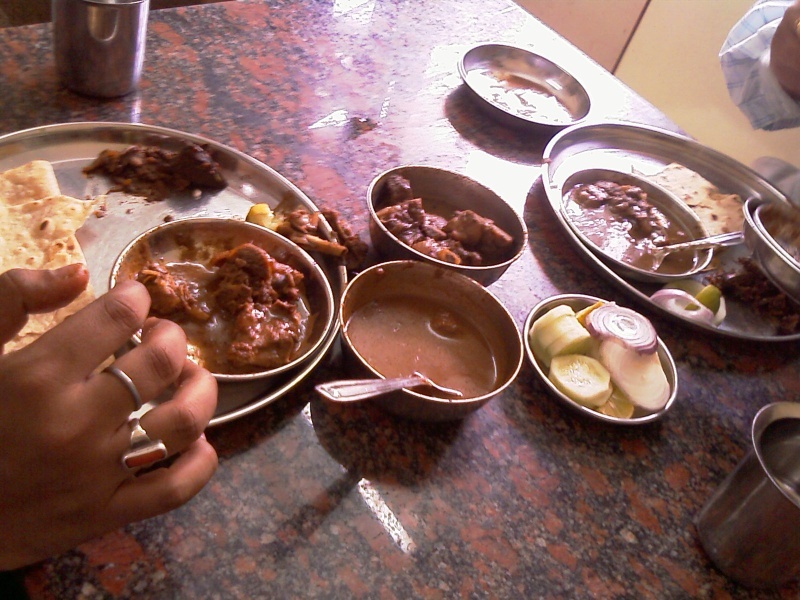 Now, this place is essentially Non-Veg, so all veggies (which includes me) will not find anything to consume, even if giving company to non-veggie friends. 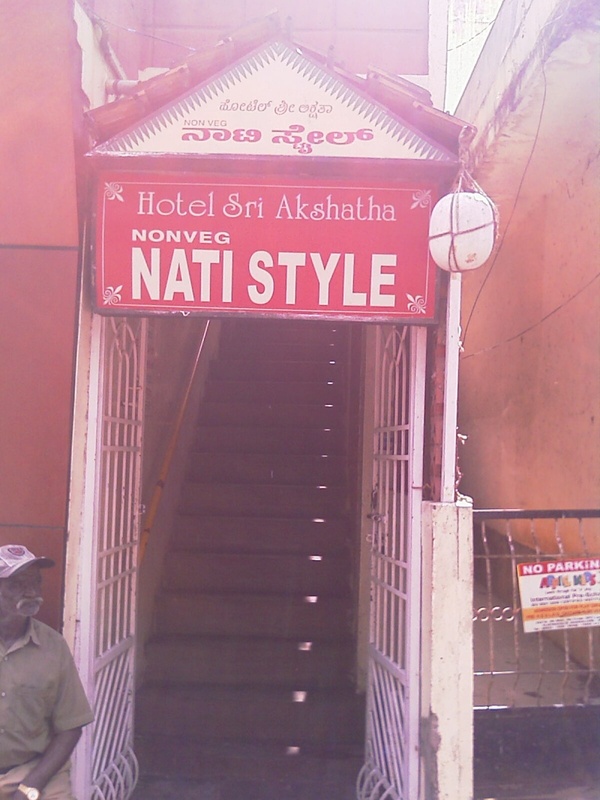 The Name plate on the outside itself reads as NATI STYLE, which is an indicator of the typical style in which food is prepared here (traditional home made style). Rates are very very nominal, and if one has to go by the credentials, then there is a huge fan following for this place and people would rate it a 5 on 5. Some images to give an idea of the place and the food.